Three well-known caterpillars—tent caterpillar, gypsy moth, and fall webworm—are often misidentified for each other by homeowners that are having problems with swathes of defoliated trees. Caterpillars that defoliate trees in your home landscape can be invasive and sometimes require control measures. Though the three caterpillars might look similar, these three species have distinct habits and characteristics that make it easy to tell them apart. Homeowners have a few options to control defoliation of trees due to caterpillars. The first option is to do nothing. Healthy deciduous trees usually survive defoliation and grow back a second set of leaves. Manual control on individual trees includes hand removal of egg masses, inhabited tents, and pupa, and installation of sticky tree wraps on trunks to capture caterpillars as they move up and down trees. Do not leave egg masses on the ground; drop them in a container of detergent. Do not attempt to burn tents while they are on trees. This is hazardous to the health of the tree. Various insecticides for tent caterpillars and gypsy moths are available at garden centers. Insecticides are divided into two general groups: microbial/biological and chemical. Microbial and biological pesticides contain living organisms that must be consumed (eaten) by the pest. They are most effective on small, young caterpillars. 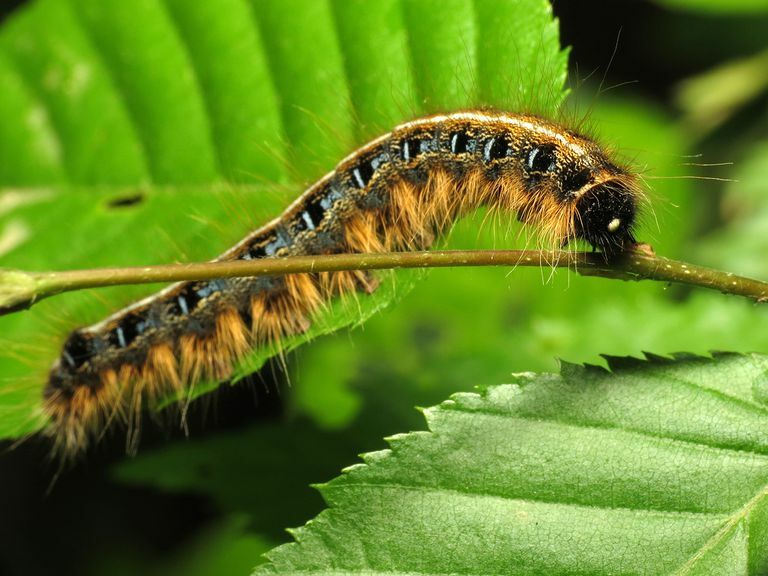 As they mature, caterpillars become more resistant to microbial pesticides. Chemical insecticides are contact poisons. These chemicals can have a potential impact on a variety of beneficial insects (such as honeybees), so they should be used wisely. Spraying trees with insecticides is an option, too. Tent caterpillars are native and a natural part of our ecosystem and gypsy moths have "naturalized" in our forest communities. These caterpillars will always be around, sometimes in small, unnoticeable numbers. If dense concentrations of tent or gypsy moth caterpillars cause a decline in the trees' health or threaten a garden or farm, spraying might be the best course. However, using insecticides do have some drawbacks. It is not effective against pupae or eggs and is less effective once caterpillars reach 1 inch long. Nesting birds, beneficial insects, and other animals could be endangered by the use of chemical insecticides. The good news about caterpillars is that their populations fluctuate and after a few years of high numbers, their populations usually drop. Populations of tent caterpillars reaching highly noticeable levels run approximately on 10-year cycles and usually last 2 to 3 years. Natural predators of caterpillars are birds, rodents, parasites, and diseases. Extremes in temperature can also reduce population numbers. 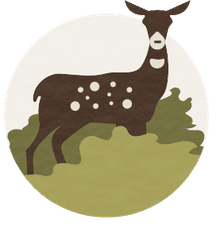 New York State Department of Environmental Conservation. Tent Caterpillars.